"Art has the power to transform, to illuminate, to educate, inspire, and motivate." In our classroom we love using the power of observation and the language of art to share our ideas with others. 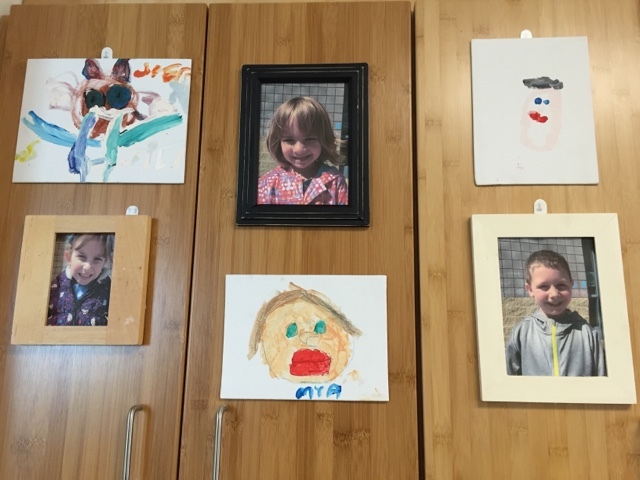 This week we encouraged the children to visit the art area in order to paint a self-portrait to hang over their cubbies. 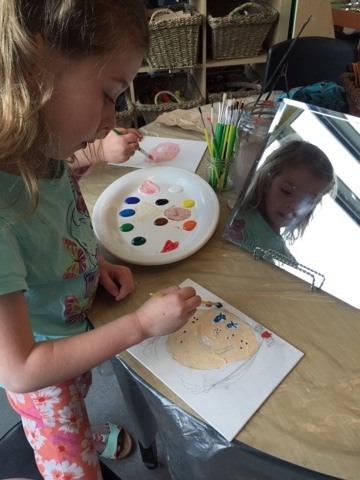 We placed a large mirror at the table along with a variety of paint brushes and acrylics. Some children drew a pencil sketch on the canvas first and then painted over while others painted freely. 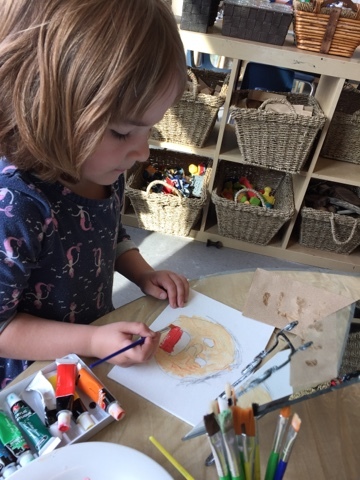 The children's attention to detail was inspiring; they noticed the shade of their skin, shape of their face, length of their hair, and even what expression they should be wearing in the painting. 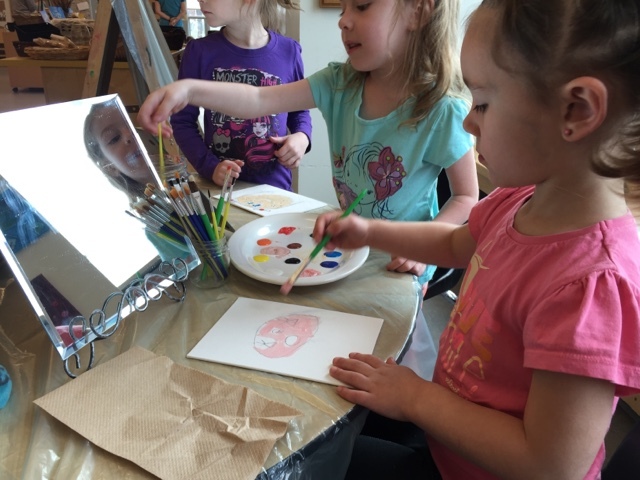 They took their time studying the uniqueness of their reflection and representing their individuality and personality in the self-portrait. It was interesting to watch the artist work; behind him or her were a few admirers watching the process and waiting patiently for their turn to paint. The conversations were low and focused as the artist's work was admired and decisions were made as to which colours they would be using for their piece. 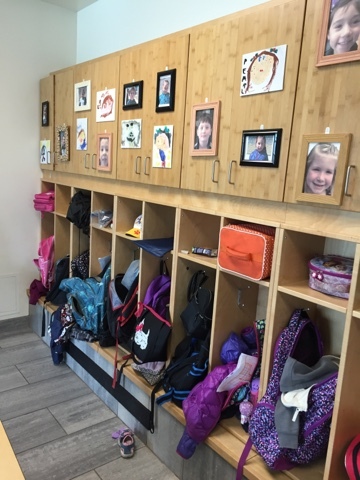 The paintings were hung over each cubby along with a new, framed photo of each child. We hoped to honour each child's individuality and spirit through the use of photography and paint. We think the results are simply stunning! Check out this new display next time you visit our room!